When I was 23 or so, I worked at a Summer Drama day camp. Kid #1 would stand strong, planting their feet firmly into the floor, their only task being to not let themselves be moved from that spot, no matter what. When they felt they were holding steady, Kid #2 would try to push them out of position. No matter how hard they tried, none of them managed to stand in place for long. In the second pass, they would hold a positive thought (or the image of someone they loved who they felt believed in them) in their minds. If they imagined a loved one, I encouraged them to visualize this person cheering them on, saying positive things about them. Kid #1 would stand their ground again, holding that positive inner space, and without fail, it took herculean efforts from the second child to push them off their resolute footing. The “Elvis Day” always left the kids deep in thought, and uncharacteristically speechless. Whether they were in the early stages of setting their own limited, negative beliefs about themselves (or having them set for them), or entrenched in the tumultuous brain chatter of their teenage years, this particular lesson was always an “aha” moment. It suddenly became very clear to the campers that the quality, tone and intention of what we say to ourselves and to others matters more than we can even begin to understand — that negative thoughts/words are the “sticks & stones” of the emotional/mental body, and that the wounds sustained from them can be very deep, with scars and imprints that last just as long (some, even longer) than their physical counterparts. I loved seeing a startling reminder of this concept today in the form of Danielle LaPorte‘s 25-day Good Apple/Bad Apple experiment. 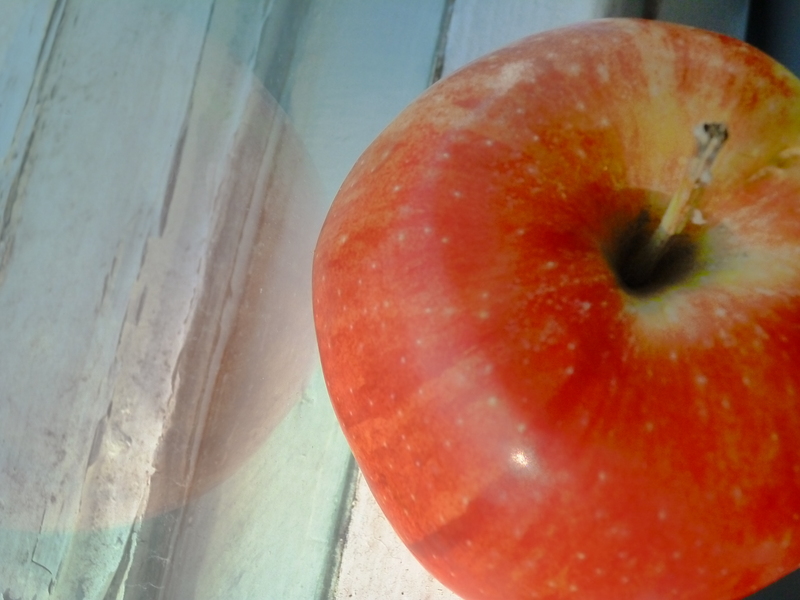 What happens to an apple after you praise it for 25 days? Even more shocking is what happens when you talk smack to it. Have a look-see (and be amazed) on Danielle‘s blog here. 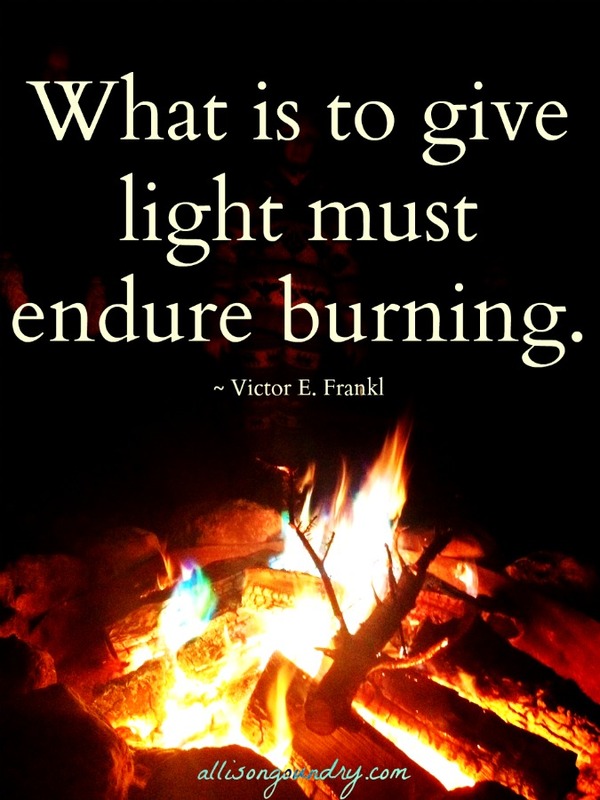 This quote from Victor Frankl was shared by my University acting/movement teacher in a class over a decade ago and it has stuck with me ever since. Life will not always be a walk in the park. We will have to walk through that darn fire as many times as we need in order to learn, to grow, and to evolve. When you’re in the fire, in the struggle, recognize and honour that this is where you are, and that this, too, shall pass when it’s time. When you’re giving light on the other side of the fire, embrace that state fiercely. Appreciate the joy and expansion you feel now for what it is, knowing that it is a byproduct of you having survived the blaze intact — changed, yes, and perhaps even more resilient than before — and that it, too, is just as impermanent as the struggle. 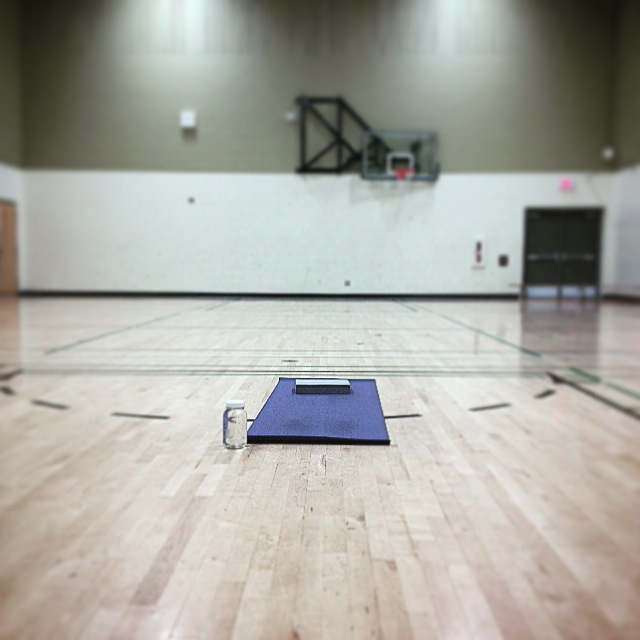 The other night, I had the privilege of teaching a woman her very first yoga class. Seeing her eager, smiling face throughout all the awkward downward dogs was a reminder of the kind of presence our practice — and our life — needs from us. Every time is the first time. Her enthusiasm for simply being able to connect with not just her body, but herself as a woman, was written all over her face when she left, and in the gratitude she expressed as she rolled up her mat. It sounded so simple, but the poignancy of this statement hit me hard. We can only get through by being fully in it — nowhere else than where we are, feeling nothing else than what we feel. These emotions knock us down, but in the falling, they are meant to be met on the ground, face-to-face, eye-to-eye, with compassion. Only then can we begin to rise, and in owning the state we are in, catch a beautiful glimpse of grace. So wherever you find yourself today, recognize your courage to be in it…to be where you are. High or low, I encourage you to find even a sliver of appreciation for where you may be, for this crucial step on your journey. Know that it is simply a tiny piece of the whole. And all is well. My brother recently recommended this TED talk (below) from psychologist Guy Winch — an engaging, thought-provoking look at how our minds deserve just as much TLC as our bodies do. In 2007, I came to Yoga (and eventually my highly cherished practice of Yoga Nidra) as a way to process the pain of a twice-broken heart. In 2011, I became fully committed to Yoga Nidra as my primary practice in the wake of a minor concussion I sustained from falling backwards (while standing completely still, adjusting my toque — so Canadian, eh?) on an ice rink. After that tumble, all it took was a single downward dog to know that my physical practice would be on hiatus until further notice. Each of these “injuries” — one definably emotional, the other physical — brought up a full spectrum of feelings to wrestle with: grief, anger, frustration, shock, confusion, sadness and pain, to (most unexpectedly) profound and life-altering joy, lightness and gratitude for not only surviving these setbacks, but for finding clarity and meaning in times of upheaval. Something to hold and walk me through the challenges rather than just get over them. Having successfully recovered from both of these upsets, as I continue to explore and share the practice of Yoga Nidra alongside women and men of diverse ages and backgrounds, it has been a real revelation to hear the stories — the “whys” that explain the reason these students are finding themselves outside of a more physical yoga practice and actually craving what Nidra offers — quiet, stillness, relaxation, intention, and an expanded state of awareness that transcends all the limitations and clutter we impose on our physical being. are seeking a way to not only stay connected to the steadiness and peace the time on their mat brings them, but to also find alternate ways of taking care of their physical and emotional well-being; a way to take an active part in their own healing process, whatever that may be. Though there are many students that come to practice who are experiencing a hiatus from activity due to injury, what tends to emerge in time is that, even more so than (or in tandem with) the physical, there is usually an emotional challenge that is taking centre stage, or some variation of stress that has surfaced as a result of being put out of commission by unexpected injury or illness. I hear from students quite frequently that they are struggling with anxiety and/or depression, high personal/work-related stress levels, or trying to cope with major transitions in their lives. I also see a lot of ‘caregivers’ tuck eagerly into their long savasanas as a way to give back to themselves when they’re not giving tirelessly and selflessly to their children, to ailing family members, or to the patients they see in hospitals and clinics around the city. To be clear, I am not a medical professional, or a “healer,” or a psychologist. What I am sharing with you is my observation from being around some truly remarkable human beings who grant me the privilege of hearing why they are seeking respite in this stillness and how, in doing so, they are finding what they need — whether it’s a deep rest, a profound revelation, or simply a community environment to bring them out of loneliness and isolation. It reminds me that, behind the masks we wear to help us brave our crazy, chaotic world, there is a dire need for safe spaces where we can be just who and what we are; a permission of sorts to seize any opportunity for our tired minds and hearts to be refueled, and our perspectives significantly shifted. If the body is the dumping ground of the mind, then how long have our minds and hearts been begging for our attention when the body finally gives out? Maybe it’s just me, but given 30 minutes of zero distractions and a yoga mat (or just a comfy piece of floor), I’d be Nidra-ing without fail. I wouldn’t be so gung-ho to share this practice as much if I didn’t feel I had found a life preserver I can always reach for when I need it. It doesn’t mean it doesn’t take will to commit to being consistent and actually do the practice (especially in tougher times), but it’s that soft, intentional focus on both my physical and emotional wellness that allows me to be a much better wife, daughter, sister, friend, teacher, and human being. Isn’t it funny how when we’re in the midst of difficulty, we never know how we’ll reach the other side? 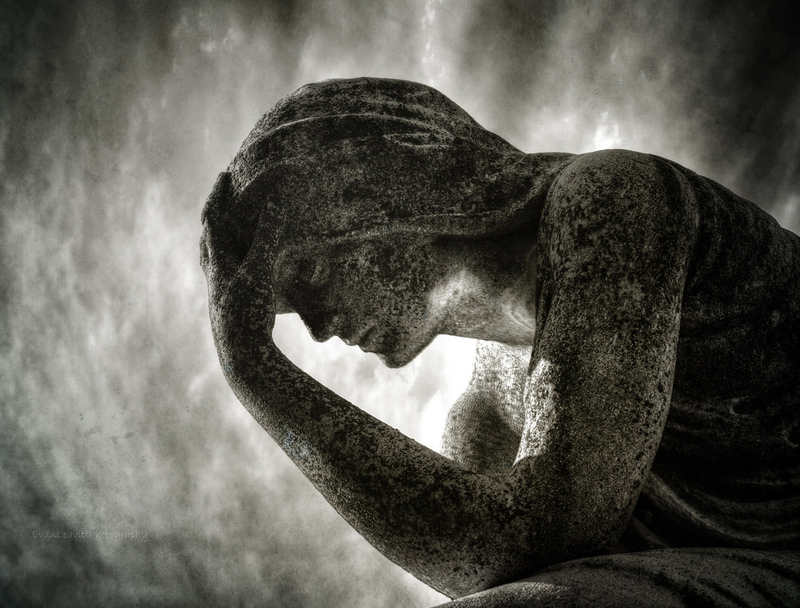 We doubt that we’ll ever feel less pain/sadness/frustration/grief/anger/disappointment/… than we do in that moment, or in the days that follow that time as we process what we’ve been through, or what we’re grappling with. In the temporary narrowness of our vision, we fail to see how on earth we will ever get by, how anything could be any different than it is right now, how we could ever stop hurting, or at the very least, hurt less. If we look really closely, really attentively at our lives, it is possible to see the inevitably of change — how the world changes, how we change, how life is changing us; how the strength of the emotions that weigh on us the most can, and will, somehow diminish. How they do, in fact, get to be less of a burden on our hearts…when we’re ready. It doesn’t mean we forget, but it does mean that we can attempt to move forward. There have been times where I’ve flat-out declared that I am completely uncertain as to how I’ll make it through the pain of something — a heartbreak, a loss, a significant change. It feels truthful because it is the truth of the moment, the daunting sight of a seemingly insurmountable obstacle. The ‘blow’ typically feels like the tip of the iceberg, the lowest ebb, or maybe it just takes some perspective to see it that way — the tiniest shaft of light in the darkness to guide us back into a brighter place. They say time has its own way of healing. It’s true. But we need to, at the very least, give ourselves that, and to recognize that we may not be the same on the other side, but we will be a much richer soul for having navigated that tempest. When we feel like we’re making baby steps in the world, let’s keep in mind those mammoth trials that cracked us open, but we somehow still managed to emerge from stronger, greater lessons we’ve learned for having been taught, and higher mountains we’ve climbed that have shown us a perspective on the world that we wouldn’t seen have otherwise. We may have scars, bruises and bumps as a result, but they serve as a reminder to celebrate our victories, no matter how small. Even the littlest triumphs are a benchmark for hope that deeper peace and healing will find us in due time, and our rejoicing will be profoundly steeped in gratitude. 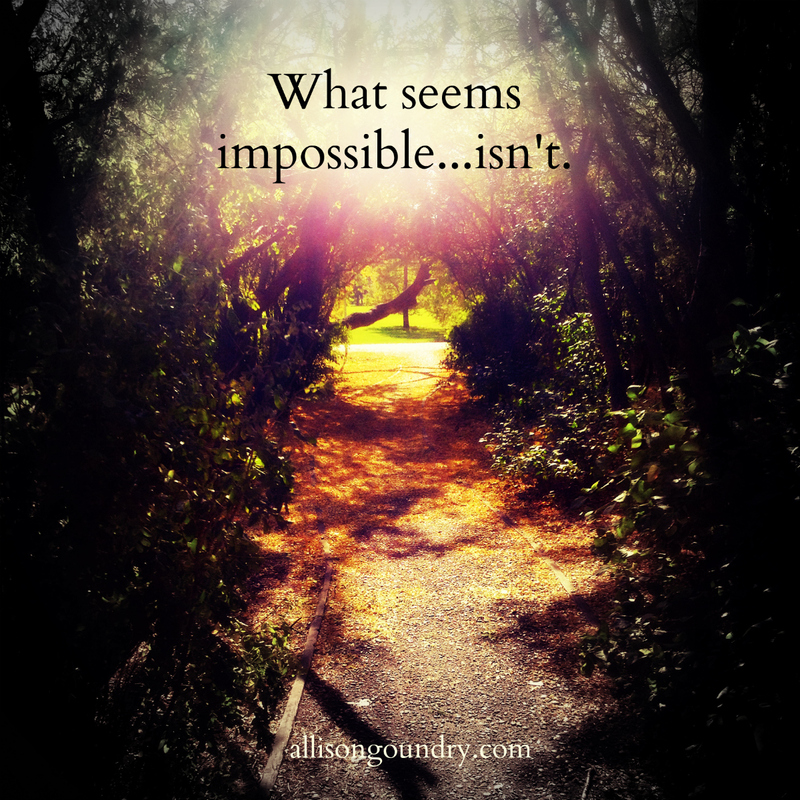 There is nothing like the jungle gym/obstacle course/playground of the human heart to show us that what seems absolutely impossible…isn’t. Purpose Pursuers, I’ve started a public Facebook page in the hopes of connecting with you more in the coming days, though the blog will still be a big part of what I offer. This is my first share on that page inspired by the arduous task we all know as “getting started.” Onward and upward. Perhaps it’s the fact that I could hear the streets of London in the background of my friend’s voice message over Whatsapp… or maybe it’s the dream I had last night that I was hanging out with the Royal Family and sheepishly fishing under an ornate, velvet-covered bench to find my slippers before clumsily upsetting an entire basket of the Queen’s jewels. Or maybe (and most likely) I’m just thinking of England as a distraction and, therefore, feeling this sobering quote from Hugh Laurie crying out to me from a bulletin board near our kitchen because there is a fresh page waiting here in cyberspace — a work in progress — that needs someone to open the gates for it to start running. Sure, dig back into the past as much as you like to find what you thought might be perfect, or more carefully crafted, but nothing holds more meaning than what exists in the present, than the richness of the soil underneath your feet right now (or the laminate underneath your slippers). No wisdom gleaned from some golden epoch where you were at the height of clarity on whatever you were working with at the time can be nearly as poignant as admitting your own pajama-clad, mussed-up haired, bare-faced-and-surrounded-by-tea-cups-and-your half-done-taxes imperfection in the moment; your not-ready-ness, your uncertainty, your trepidation, your humanity. We can ask why we’re here, what we have to offer, the ‘why mes’ that only stifle, squelch and stop us in our tracks. Why would we be here if we had everything figured out? And who can identify with perfection anyway? Aren’t we all just figuring it out as we go? Aren’t we all just learning in the midst of the mess? Aren’t we all just doing our best with what we have? So, my friends if you find yourself overwhelmed with where you think you might need to go, start where you are — glamorous or not. It might seem like the furthest place from where you want to be, but if you can, find it in your heart to see it as the first step of many. And sometimes, one imperfect step means more than a host of expertly calculated ones.